You’re into beautifying your backyard. You love the idea of creating an amazing environment in your very own backyard. You have seen photos of zen gardens or maybe you have seen them in person. It would be nice to have one of those in your backyard, right? Well, yes it would. A Zen garden can be a gorgeous tranquil place where you can relax and enjoy yourself. You can read a book, do yoga or just show it off to your friends and neighbors. Whatever your reason is for building a Zen garden, we have you covered with these 8 ways to turn your backyard into a zen garden. If you really want to create that authentic Japanese zen garden vibe, you will need some bamboo. Japan is where these gardens originated after all. You may want to create a bamboo water piece yourself or have it installed. It can be easy to make and bamboo is cheaper than you think. 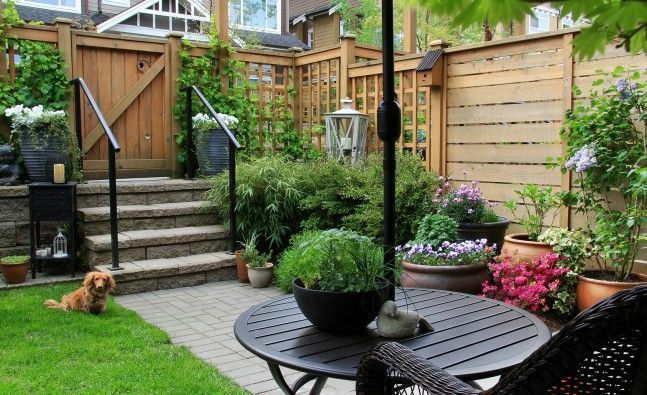 You can also think about incorporating bamboo fencing into your garden. Decorative bridges can really add that extra flare to your zen garden and give it that feudal Japan feeling. They can also be very affordable. You don’t need to have a giant bridge, it can be a small one and that will work just fine. The traditional stone path just looks cool and it’s affordable. It’s also easy to DIY. Moss is a pretty typical component of a great zen garden as well. It is a very affordable way to make your garden look more like a zen garden. Moss is also easily maintained once it starts growing. Cushion moss, fern moss, and rock cap mosses are all great options. You can not have a zen garden without rocks. Rocks are a necessary part of your garden and are about as affordable as it gets. Remember to use them sparingly, place your rocks in the right places, so they stand out. Less is more with zen gardens. Minimalism is the theme. You can save on delivery fees by renting a vehicle and transporting these materials on your own. You don’t really have a garden without plants, but you don’t want just any types of plants for a zen garden. You will want to get some eastern plants like Japanese maple trees, Japanese apricot trees, and bonsai trees. Water can really make the difference between a nice zen garden and an amazing zen garden. You really are not finished with your backyard until you add some type of water feature to it. There are some budget-friendly choices like tabletop fountains, but there are also some more extravagant options like full-sized waterfalls. You can also build your own pond and put fish in it to set it over the top. Having a koi pond will impress everyone. Building your own pond will take quite a bit of manual labor because you will need to dig pretty deep, but it is definitely worth it if you really appreciate the beauty of a koi pond. Statues can really add the finishing touch and set your garden over the top. You will want to save these for the end though. You want to have everything else installed before you put the statues in. Buddha statues are a very popular choice because they fit the theme very well, but there are other great options if that’s not your thing. You can get horse, elephant or soldier statues as well and they all go perfectly with the zen garden theme. Make sure you don’t go too crazy with these, be tasteful and place them sparingly. It is very easy to go overboard with adding statues.